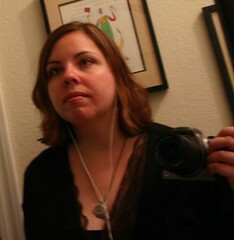 I sit and look in the mirror, listening to Deb Talan sing in my ear. Then I join in and harmonize with her. Serenading myself has become a new experience for me. I always sing, but actually singing to myself on purpose is something new. In certain moments, it seems to be holding me together.